Vice President Dr Mohamed Jameel Ahmed met former Health Minister Dr Mariyam Shakeela at the latter’s residence on Thursday night (September 11), reports local media. Opposition-aligned private broadcaster Raajje TV reported eyewitnesses as saying that Shakeela greeted the vice president upon his arrival at the Manaam building around 9pm. With the press gathered outside, Dr Jameel reportedly left the building in his official state car around 3:10am in the early hours of Friday. Reporters spotted the vice president and his wife in the car with bodyguards. The Ministry of Health has been headed by Defence Minister Colonel (Retired) Ahmed Nazim after Shakeela’s renomination was rejected by the Majlis last month. In an interview with Haveeru last week, Dr Shakeela alleged death threats and intimidation prior to her departure, suggesting that political opponents wished to remove her in order to benefit from corrupt development deals. Vice President Dr Mohamed Jameel Ahmed inaugurated the ‘Hotel Asia 2014 Exhibition and Culinary Challenge’ at the Dharubaaruge convention centre yesterday. Dr Jameel noted that such high-profile events encouraged growth of the tourism industry. “Focusing on the country’s commitment to excellence in global tourism, Vice President Jameel highlighted that the government focuses on delivering a business environment conducive to the growth and development of the hospitality industry in the Maldives,” the President’s Office said. Organised by Maldives Exhibition and Conference Service (MECS), almost 500 members are reportedly participating in the culinary challenge event at the exhibition, including local and foreign chefs from 60 resorts. Today marks the first official day of Ramadan in the Maldives following the conclusion of final preparations for the month of fasting and prayer. After the anticipated sighting of the new crescent moon did not come on Friday as expected, the Islamic Ministry announced that Sunday (June 29) was considered to be Ramadan 1 in the Hijra year 1435. The start of festivities also began at midnight across much of the world, with Yemen reported to be the only country to have started celebrations on Saturday. President Abdulla Yameen has called on Maldivians to observe the period with piety, encouraging the performance of pious deeds and virtuous duties. In a statement released by the President’s Office, Yameen noted Maldivians’ preservation of the Islamic faith, appealing to all to continue this tradition over the next 30 days. The government’s efforts to assist with preparations were also acknowledged by Yameen, with a number of temporary and refurbished mosques having opened in recent days. Vice President Dr Mohamed Jameel Ahmed was in attendance at the reopening of the Al-Furqan mosque on Friday after six years of construction and multiple delays. The mosque is reported to be the most expensive in the country’s history, at MVR21 million (US$1.3 million). Speaking at the opening ceremony for new mosque – capable of facilitating 3000 people – Jameel urged Islamic scholars to uphold the country’s Islamic identity by presenting it in a way comprehensible to the nation’s substantial youth population. Local media have also reported the opening of a temporary mosque in Maafannu to compensate for the recently demolished Fandiyaaru Mosque. The Maldives National Defence Force completed the mosque – with capacity for 800 people – in just 14 days, reported Sun Online. After initial fears regarding funding, the Islamic Minsistry announced the release of MVR800,000 to Malé City Council for repairs to 22 mosques. Minister of Islamic Affairs Dr Mohamed Shaheem Ali Saeed has pledged to spend MVR10 million on mosque repair for Ramadan. Additionally, President Yameen has pledged to reduce waiting times for the overburdened Malé-Hulhumalé ferry to just 10 minutes while state utilities company Fenaka is said to have pledged interrupted power supply to all islands this month. Working times for the Maldives’ 25,000 civil servants have been reduced to the hours between 10am and 2pm after local women’s rights NGO Hope for Women had argued the previous arrangement allowed insufficient time for women’s increased domestic workload during the month. Meanwhile, the government announced that schools would be closed for grade 9 and below throughout the month, while class times will be reduced for other age groups. Haveeru has also reported a reduction in the price of a number of basic commodities at the local market, as well as the opening of an additional fresh market in the capital. A bill on establishing special economic zones (SEZ) to attract foreign investment has been submitted to parliament on behalf of the government by Progressive Party of Maldives (PPM) MP Ahmed Nihan. 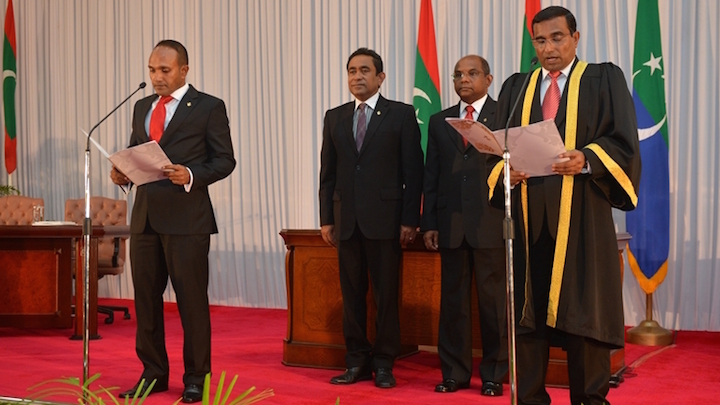 The SEZ bill becomes the first piece of legislation to be proposed by President Abdulla Yameen’s administration to the 18th People’s Majlis, the newly-elected PPM parliamentary group leader tweeted on Thursday (June 5). The SEZ bill is intended to expand the economy and could “bring an end to the dependence on tourism,” he said. In addition to ports and light industries, Saeed said financial services and bunkering facilities would be made available at the zones. “So the result of this would be the introduction of different industries to the Maldivian economy in addition to tourism,” he said, adding that the new enterprises could be more lucrative and beneficial than tourism. Referring to the impact on the Maldives from the 2004 tsunami and the spread of the SARS virus, Saeed stressed the importance of diversification, as the Maldivian economy was vulnerable to external shocks due to the extreme dependence on the tourism industry. 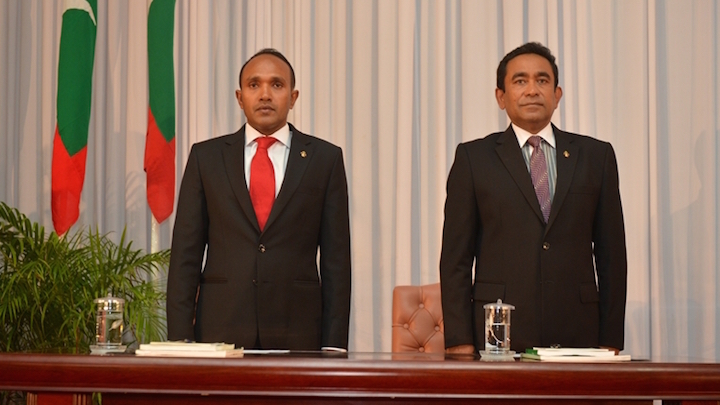 He noted that economic development and job creation was the key focus of President Yameen’s election campaign. The government conducted “a wide research” in drafting the bill, Saeed continued, and studied the practices of countries such as Dubai, South Korea, Mauritius, Cyprus, China, and Singapore. The bill would “completely ensure investor protection,” he asserted. Business-friendly laws were essential for attracting investors for mega-projects planned by the government, Saeed noted, such as the ‘iHavan’ transhipment port project. The minister also expressed confidence that parliament would pass the bill without delay. 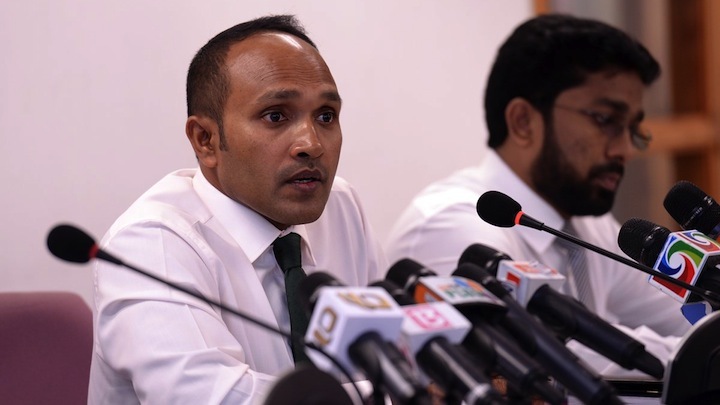 Vice President Dr Mohamed Jameel Ahmed meanwhile observed that the ruling party had a clear majority in parliament with a team of young MPs committed to the government’s economic agenda. President Yameen had declared in April that the SEZ bill would become “a landmark law” that would strengthen the country’s foreign investment regime. “What we would like to confirm for the foreign investors who come to the Maldives is that foreign investors should feel that Maldives is your second home here,” Yameen had said at a function in Hulhumale’. The new law would enable investors to have “freeholds” in the country and allow investors “to engage in really, really long gestative projects,” Yameen said. “We are embarking on an era of growth,” he said. 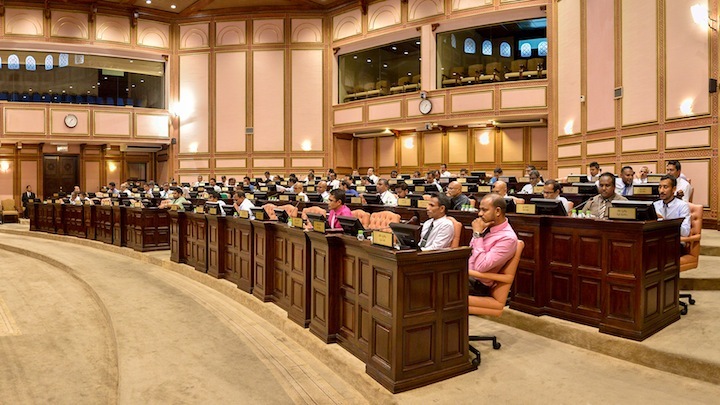 Other economic bills in the government’s legislative agenda include bills on foreign investment, insurance, consumer protection, corporate social responsibility and small claims as well as amendments to the Maldives Monetary Authority Act and the Pensions Act.